From PBS Independent Lens films. “Worshiped and treasured since the dawn of humankind, few things on Earth are as miraculous and vital as seeds. SEED: The Untold Story follows passionate seed keepers intent on protecting our 12,000 year-old food legacy. In the last century, 94% of our seed varieties have disappeared. This once abundant seed diversity — painstakingly created by ancient farmers and gardeners over countless millennia — has been drastically winnowed down to a handful of mass-produced varieties. Under the spell of industrial “progress” and corporate profits, family farmsteads have given way to mechanized agribusinesses sowing genetically identical crops on a massive scale. But without seed diversity, crop diseases rise and empires fall. More than a cautionary tale of “man against nature,” SEED reveals the work of farmers, scientists, lawyers, and indigenous seed keepers who are fighting a David versus Goliath battle to defend the future of our food. 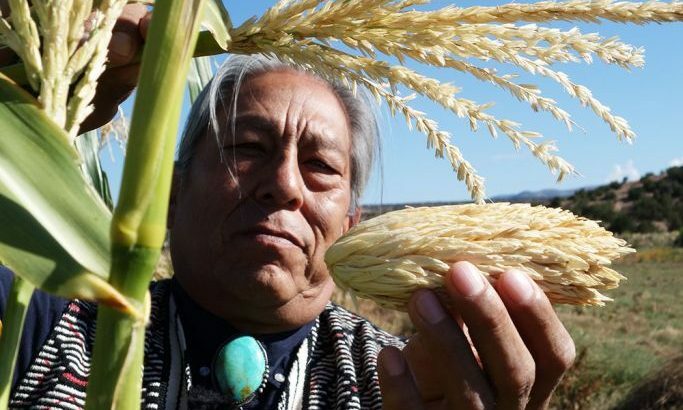 In a story both harrowing and heartening, we meet a wide variety of reluctant heroes working to rekindle a lost connection to our most treasured resource, from the pueblos of New Mexico to a seed bunker in Norway, from India to America’s heartland, from Peru to Hawaii. Among the dozens of people featured are Will Bonsall of the Scatterseed Project, Dr. Jane Goodall, environmental lawyer Claire Hope Cummings, ethnobotanist Gary Paul Nabhan, botanical explorer Joseph Simcox, Andrew Kimbrell of the Center for Food Safety, and physicist/activist Dr. Vandana Shiva. SEED explores the hidden fabric of our food and the people that painstakingly and meticulously curate its diversity, in an era of climate uncertainty and immense corporate power.